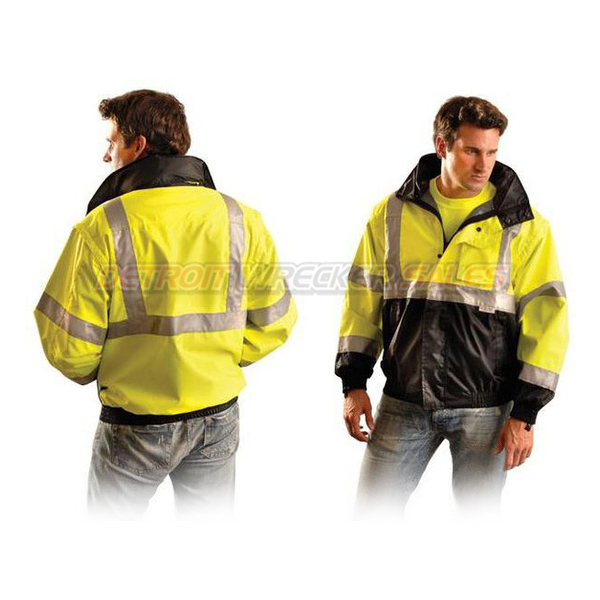 This Men’s ANSI Class 3 Reflective 5 in 1 Coat by Occunomix has become a best seller. This coat is so versatile, it features 5 layers of weather blocking fabrics that will keep you warm. You will be ready for any kind of weather with this 5 in 1 coat. 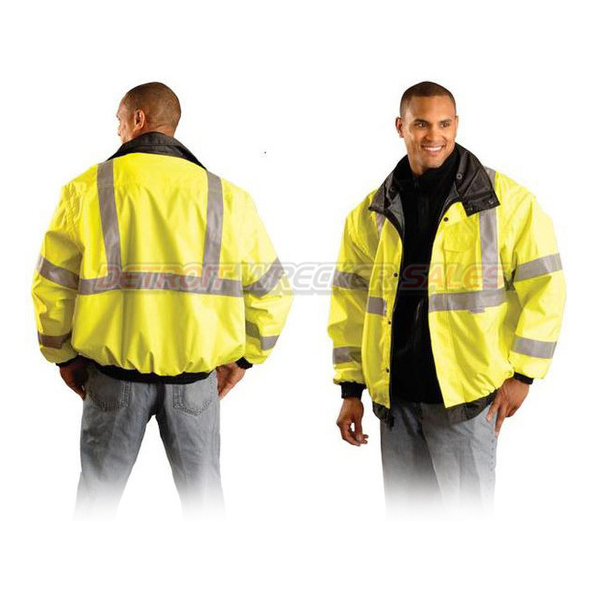 Pair it with your favorite reflective work pants for the ultimate in high visibility! We’ve taken our wildly popular classic bomber jacket (TJBJ) and added some great features. Wear this jacket through fall and winter with the convenient zip out – removable inner fleece jacket and sleeves. The versatile design (wear it five ways) means you’ll wear them for work or weekend. 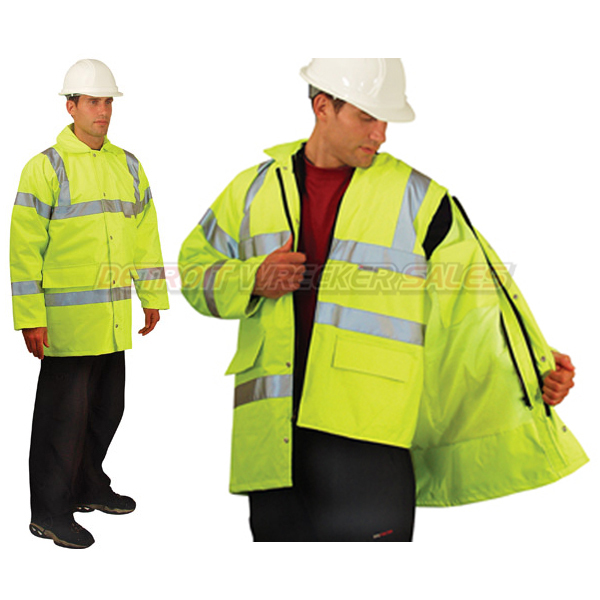 The ANSI Class 3 TJBJ-B answers our customer’s requests for a jacket that looks cleaner after a hard day of work. Black fabric on the lower front and sleeves fights the “dirty jacket look”. 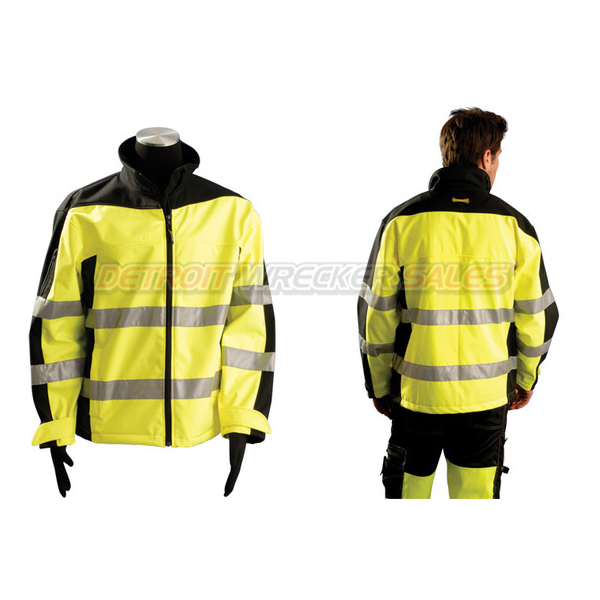 1) The outer jacket is made of fluorescent yellow PVC coated polyester plus 3M™ Scotchlite reflective tape and has received independent ANSI Class 3 certification. Its many features include a snap on, hideaway hood, flip up collar for wind blocking, zipper and snap front, a radio pocket, two outside hand pockets, and, to hide dirt, dark cuffs, collar and waistband. Elasticized cuffs and waistband keep cold air out and warm body heat in. PVC coated polyester meets ASTM F 1671 against bloodborne pathogen penetration. The Jackets lining is nylon and includes a double inside pocket, one with a zipper. 2) When it is not quite so cold out, zip out the inner polar fleece jacket and wear the Bomber Jacket as a two layer jacket, still Class 3. 3) Zip off Bomber Jackets yellow sleeves and wear as a Class 2 Vest. 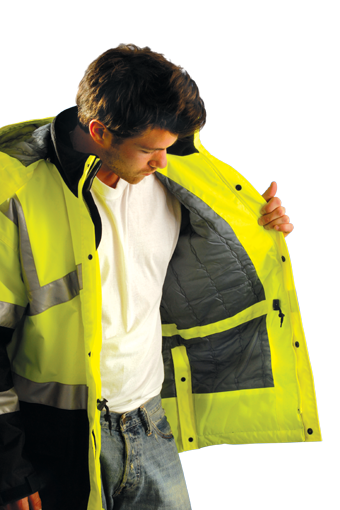 When wearing the jacket without yellow sleeves, as a Class 2 vest, the inner fleece jacket with fleece sleeves can remain in place. 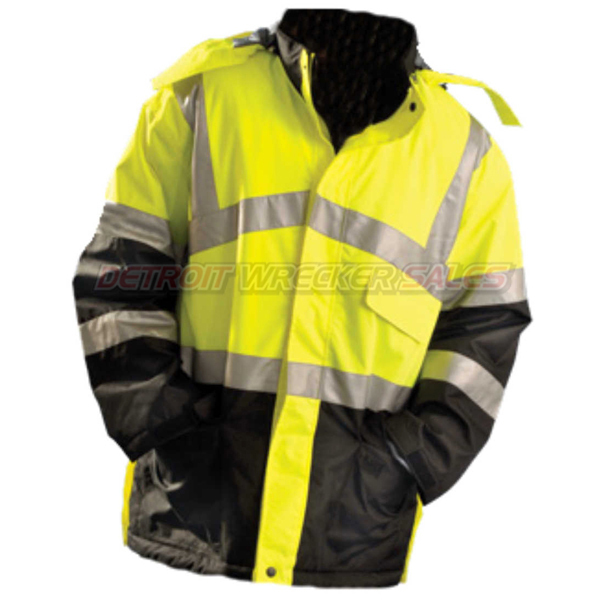 4) Remove the inner polar fleece jacket lining with sleeves, leaving a Class 2 sleeveless yellow outer vest with reflective stiping. 5) Lastly, the blue, non-compliant, inner polar fleece jacket can be worn alone on cool days, when working away from traffic.